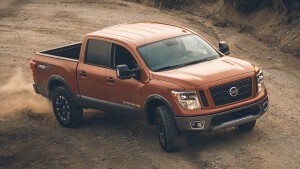 Since its recent redesign, the Nissan Titan and the Nissan Titan XD remained unchanged but for the model year 2019, the trucks are getting mild updates that will make them more comfortable to drive with passengers receiving the bulk of the benefits. Previously, only a 5.0-inch touchscreen came as standard to all models. 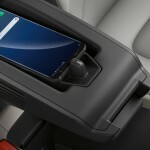 It’s now a 7.0-inch touchscreen and the Titan will also get the Apple CarPlay and the Android Auto as standard for the first time. 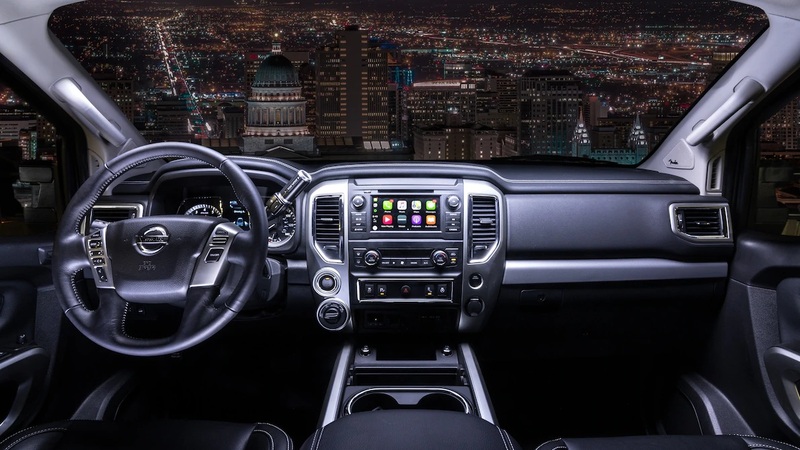 The trucks will also feature an additional USB media port, and two USB-A charge ports have been added to the PRO-4X, SL, and Platinum Reserve trims. For the audio system, Nissan will give drivers the chance to get a new Fender audio system with a 485-watt, nine channel amplifier. It will come standard on the Titan Crew Cab SL, SL Midnight Edition, and Platinum Reserve, and optional on the Crew Cab and King Cab PRO-4X. On the XD, the Fender audio system is standard on the Crew Cab SL and Platinum grades and optional on the PRO-4X Crew Cab and King Cab. The audio system has 12 speakers, except on the King Cab trim which has only 10. There are two paint colors that have been added to the exterior choices: Moab Sunset and Midnight Pine. There’s the Rear Door Alert, too. The system reminds drivers to check their backseats before leaving the car lest they forgot something. 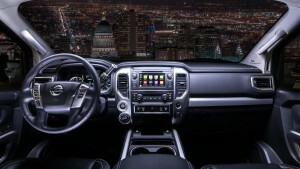 This feature is now standard on King Cab and Crew Cab versions of both the Titan and Titan XD. Both trucks are still offering the same 5.6-liter V8 engine while the XD adds another with its 5.0-liter V8 turbodiesel. There was a rumor way back that Nissan plans to add a V6 engine option to the lineup, but there’s still no word if the offer of a smaller engine still stands. The 2019 Nissan Titan and Titan XD will go on sale this fall. Audi’s smallest crossover has been unveiled ahead of the Paris Motor Show set to happen next month. The 2019 Audi SQ2 is packing more power in its tiny body, thanks to an engine borrowed from the S3 with performance-increasing additives. 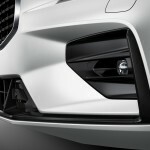 Up front, the updated SQ2 gets an eight-slat single-frame grille with LED headlights on either side. The taillights, by the way, are made of LED, too. It rides on two pairs of 19-inch tires in top-spec while S Sport suspension is also part of the update. The SQ2 is 20mm shorter than the standard Q2. It measures 4,210mm in length and has a wheelbase of 2,594mm, allowing for a more spacious cabin. Speaking of the cabin, the SQ2 has a center armrest, sport seats, a sport multifunction steering wheel with paddles, and heads-up display. The seats are wrapped in a combination of leather and fabric while the dashboard and the door panels get silver inserts. 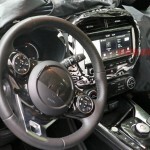 There’s also a 12.3-inch screen for the digital instrument panel, 8.3-inch MMI touchscreen that supports Android Auto and Apple CarPlay and comes with navigation, voice control, a Wi-Fi hotspot for passengers, and a 14-speaker Bang & Olufsen sound system. What’s really interesting about the 2019 SQ2 is what’s under the hood. It has a 2.0-liter, four-cylinder, TFSI petrol engine that produces 296 horses and 295 pound-feet of torque. 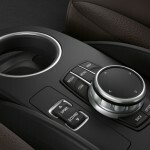 Its Quattro all-wheel-drive system is linked to a dual-clutch, seven-speed S Tronic transmission. 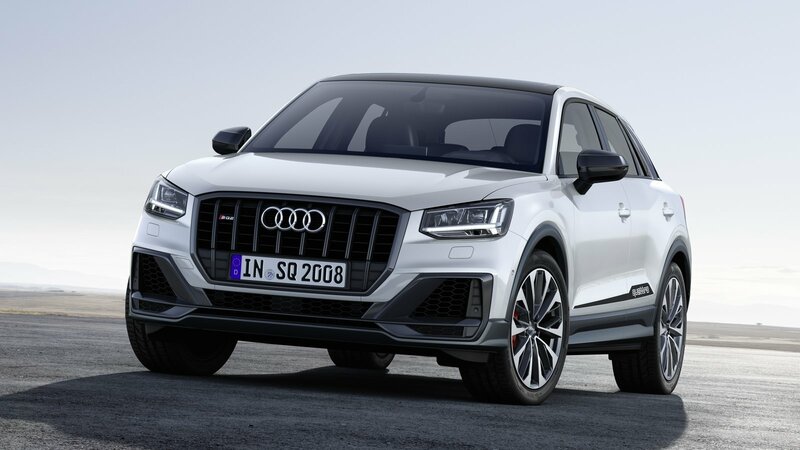 This setup powers the 2019 Audi SQ2 to go from 0 to 62mph in just 4.8 seconds before reaching the top speed of 155mph. The new SQ2 is set to be showcased at the 2018 Paris Motor Show next week. Deliveries in the UK will start in the first quarter of 2019. In the United States? There’s no word on that just yet. Will There Be A Manual Transmission For The 2019 Toyota Supra? The long journey of the 2019 Toyota Supra from concept to production is nearing its end and with it comes the possibility that the car will arrive with an option for manual transmission. At least, that’s what Supra project head Masayuki Kai told Road and Track during a conversation. But if you want this to happen, you have to let Toyota hear your voices. 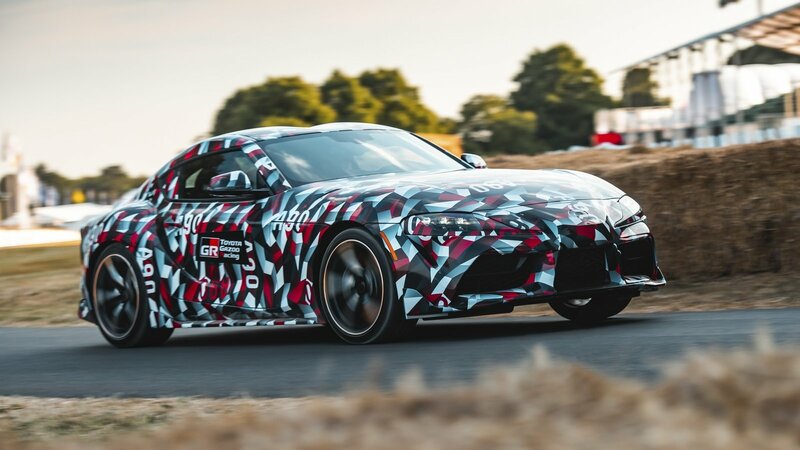 The only way the manual gearbox will be available for the Supra is if Toyota sees the market demand. The possibility of a Supra with manual transmission is entirely dependent on the reaction to the car, specifically the standard version that has an eight-speed automatic transmission. 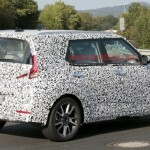 The fact that Toyota has already developed the hardware is even more exciting news but you have to hold your breath because the Japanese carmaker said that the currently available hardware is for the right-hand drive market. 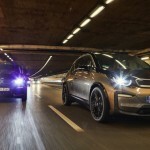 It’s not clear whether Mr. Kai means that it will only be available for the right-hand drive market or it will be an option also for other markets like the United States. Right now, what we know about the Supra is that it will be powered by a 3.0-liter turbocharged straight-six engine that makes more than 300 horsepower and 300 pound-feet of torque (there’s no exact figure from Toyota yet). If Toyota wants to increase the power and compete with others in the segment, an insider told Top Speed that the Toyota Supra can accommodate up to 500 horsepower. 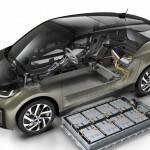 The 2019 BMW i3, which is starting its production in November, will come with a 153-mile range, thanks to its bigger battery that features a 42.2-kWh capacity. 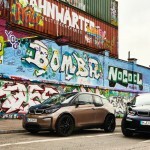 This is the second time that the German brand upgraded the i3’s battery since it was launched in 2014. 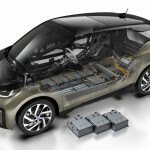 The last time the i3’s battery was updated was in 2017 when a 33-kWh battery was added to bump the range electric car’s range to 115 miles. This upcoming update will mark a 30-percent improvement over the previous 94-Ah battery (that makes 115 miles). 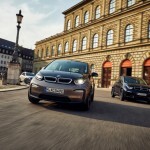 The first battery that the i3 came with it in 2014 only offers a range of 81 miles. 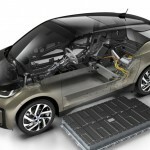 The 42.2-kWh battery is set to be the standard across the range, meaning that the i3 REX range-extended model might see a similar boost in its range and output. 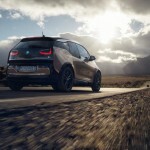 BMW didn’t say how much range should be expected, though we expect the same improvement. 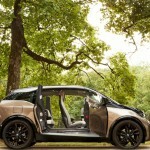 According to a recent study by the EPA, the most recent iteration of the range extender added 66 miles of range. 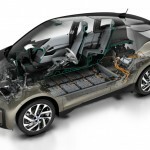 If you add that to the new battery’s estimated range, it means we’re looking at a 2019 range extender that can drive as far as 219 miles. 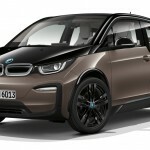 The sportier i3 will also use the same battery pack. 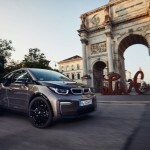 The standard i3 will be powered by an electric motor that produces 170 horsepower, just enough to get this electric car to 60 mph in just 7.2 seconds. 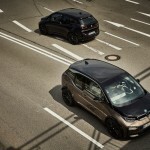 In the sportier trim, the electric motor provides 181 horsepower and can sprint to 60 mph in 6.8 seconds. 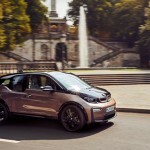 There are other updated to the 2019 BMW i3 aside from the battery. There will be a new exterior color called the Jucaro beige metallic and the Mega World trim now gets an optional interior package that is lined with brown trim, grey vinyl, and brown cloth. 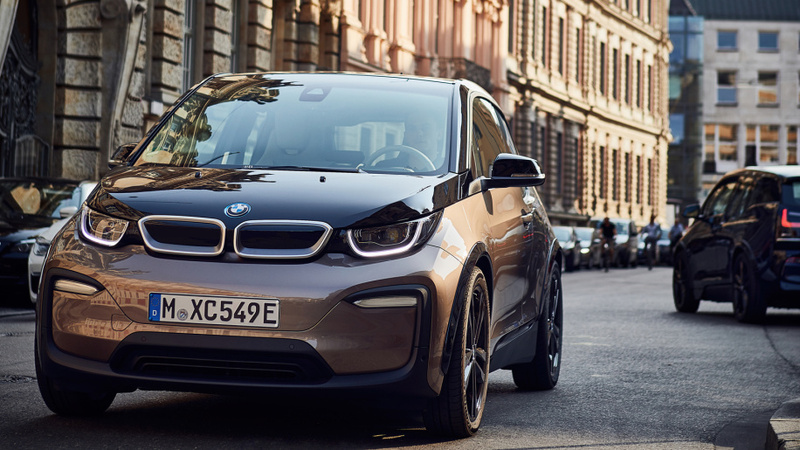 Other features are LED headlights with cornering lights and automatic high beams, BMW’s iDrive 6.0 infotainment system, a WiFi hotspot, and wireless charging tray. 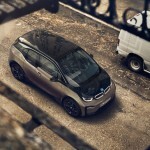 There is no information yet on the release date of the new i3. The pricing should also be announced closer to the actual on-sale date. We are not going to see the next generation of the popular subcompact Honda Fit or Jazz in other countries until at least 2020, but it’s nice to know that the Japanese automaker is testing a prototype on public roads. 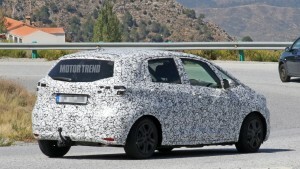 The next-generation Fit, which will replace the current-generation subcompact launched in 2015, was spotted wearing heavy camouflage in a series of spy shots. That did not stop us, of course, from getting hints of what’s to come and these are a completely redesigned Fit with a very different shape from the current model. Instead of the sharp nose, the next-gen Fit might have a flatter-looking front with the headlights and taillights taking on a more horizontal-looking appearance. This is important to note because taking on a horizontal orientation will give the Fit a more mature look than previous and the current model. 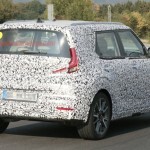 These little details might change as the model moves closer to the production date but what is interesting to note is the changes on the rear end. 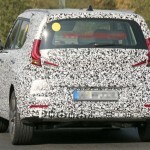 It appears, at least for now, that the rear end will stand more upright than the slope orientation of the current model. 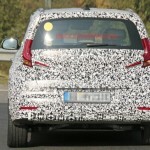 The car’s profile appears lower because of the skirts and the bumpers that extend downwards. 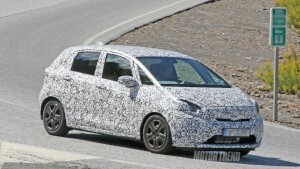 This hints that the next-gen Fit will have a more aggressive and sportier look. The Fit remains true to it being a subcompact car. It still looks small, which Honda is pressured to do so after making the Civic a much bigger car. 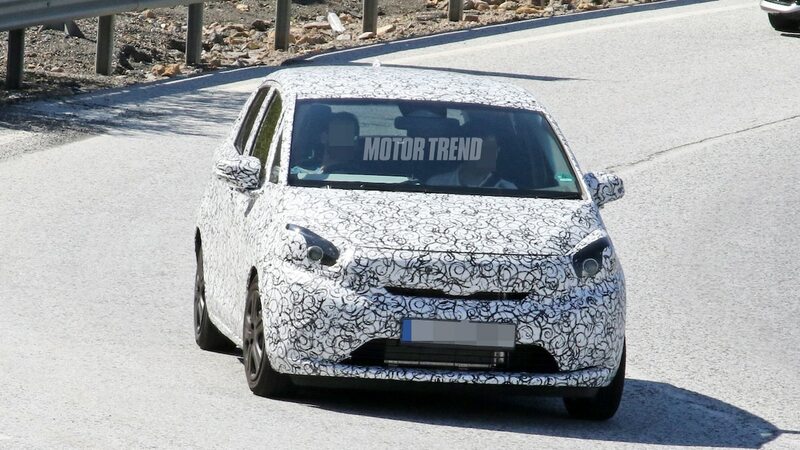 We don’t have enough information about the powertrains that the new-gen Fit will come with, but we believe it will probably get a gasoline and a hybrid option eventually. 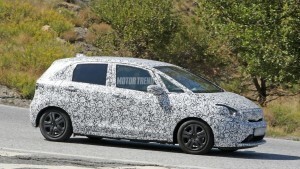 The gas engine might be the 1.0-liter boosted three-cylinder that Honda is using in other markets now. There is also the possibility of an all-electric version for the redesigned Fit but until we see something substantial from Honda, we’ll hold our thoughts on that. 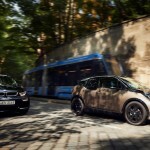 Not to be outdone by the high-tech smart cars, hypercars, and even crossovers of today’s auto industry, Canada’s armored vehicle maker, INKAS, released an augmented reality app that will allow anyone to view the INKAS Sentry MPV and the INKAS Sentry APC online in a three-dimensional, 360-degree environment. Launched recently and now available for download in the App Store and Google Play, the augmented reality app will bring the armored vehicle industry closer to its intended market. It is the first of its kind in the industry, according to a statement from INKAS, and gives anyone the ability to view INKAS’ vehicles anytime, anywhere. AR is not a new technology by any means of the word. In fact, it has been increasingly present in films, social media, video games, healthcare, and even interior design, but INKAS wants to use augmented reality to provide a new way for people to experience its vehicles. Through the app, interested people can virtually step inside the vehicle and check out the vehicles. This does not only give the target market the flexibility to shop around without the need to visit the actual showroom but they can also envision the vehicle in real time anywhere in the world. One of the main features of the app is the ability to change the vehicle’s finishing with spray paint. This custom-design feature aims to add fun to the “window shopping” experience. 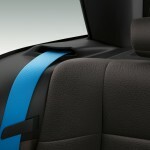 It also allows prospective clients to see how the color can change the look and feel of the vehicle. The app also allows interested groups to navigate the vehicles’ “protective features” through the Features mode, which provides visual cues and descriptions of the vehicles’ features. Among the protective features are reinforced ballistic glass and blast protection. 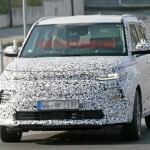 The upcoming Kia Soul EV is expected to average at least 250 miles on a single charge. 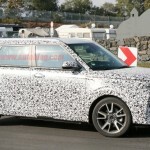 A prototype for the car has been spotted testing once more at the Nurburgring track where it now wears significantly less camouflage, revealing a shape that is similar to the Kia Soul prototypes we have seen. 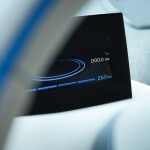 On the infotainment display, the Soul EV showed that it has a charge of 92 percent and an estimated range of 437 kilometers or about 271 miles. That keeps up with the European range estimate for the Hyundai Kona Electric, which was 292 miles. 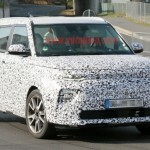 It’s not sure if the same range will be carried over to the US version of the car but since the Kona was rated only for 258 miles by the EPA, we expect the same figures for the Soul EV. 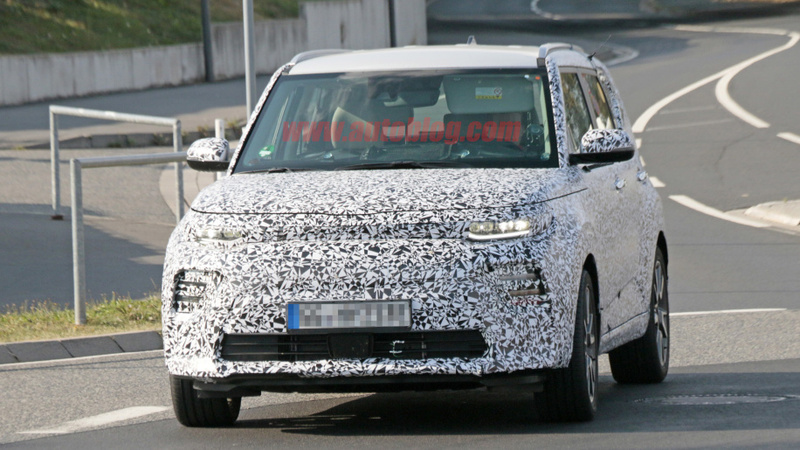 There’s no information yet on how much power the Soul EV is going to produce but based on the range, it looks like the upcoming EV is getting the same 201-horsepower electric motor that’s in the Kona and the Niro EV. On the outside, the Soul EV has a boxy shape, boomerang-shaped taillights, and full-width headlights of the gasoline models. 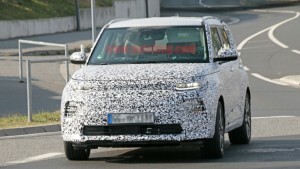 There are a couple of differences between the gas-engine Soul and the Soul EV such as the lower light pods possibly reserved for accent lighting, turn signals, or fog lights and the small opening at the bottom (instead of the large lower grille on the gas models). 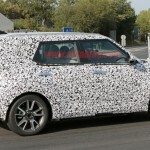 The spy photos also showed the car’s interior, which is almost similar to the current model except for the revised infotainment system with a wider screen and buttons placed underneath. 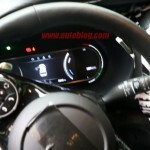 It also has a rotary knob for shifting while the instrument panel shows a speedometer and a dial. Inside, the door panels have metallic trim with patterns. 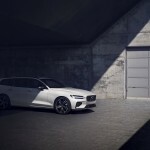 Volvo is bringing the R-Design treatment to its 2019 Volvo V60 wagon, making it the top-tier trim for the lineup. 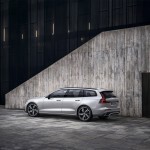 The R-Design treatment will also enhance the wagon’s performance and will provide a sportier exterior look for the car. 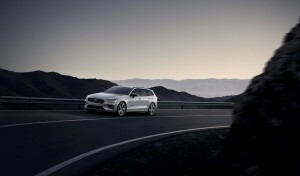 The R in R-Design stands for “refined” and it is Volvo’s range-topping performance trim. If you want to shell out for the R-Design trim, the price starts at $46,558. 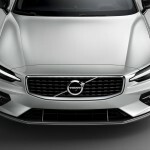 The Volvo V60’s angular grille lost its chromed vertical blade-like element for the V60 R. In its place is a different design wrapped in glossy black with the central air intake in the nose protruding struts that connect to the protruding lower lip. The whole theme verges on the car being completely blacked out. This was made possible by the side intakes that are now without their shiny bits. 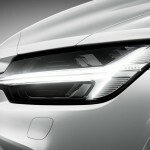 The profile is finished by bigger 18-inch alloy wheels with a diamond-cut finish. 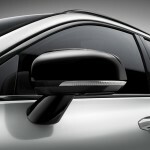 There are also black door mirror housings, window frames, integrated roof rails, and twin tailpipe surrounds. If you want the 19-inch alloy wheels, you need to go for the R-Design Plus package which adds another interesting feature—dark-tinted rear windows. 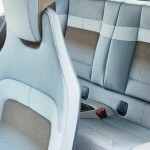 Inside, the R-Design has proper bucket seats with cushion extensions and multi-directional lumbar support. 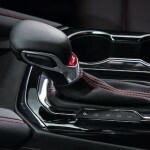 The steering wheel, the gear stick, and the pedals are all sporty, though they could not compete with a Honda Civic Type R. The technology involved are the two-zone climate control, automatic headlights with the active high beam, 12.3-inch driver’s information display, and a powered tailgate. 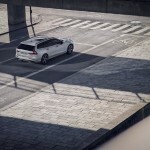 In terms of performance, the R-Design brought in a stiffer and more responsive chassis. The suspension is stronger because of the stiffer spring and the anti-roll bars have been thickened. 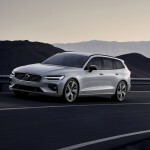 We will wait for Polestar to tweak with the engine options but for now, let’s be contented with two diesel engines—one that can make 150 horsepower and the other one can produce 190 horsepower. There’s also the T5 gas engine that can churn out 250 horsepower. Volkswagen Group’s luxury auto brand Porsche is officially ditching diesel engines, marking a new generation of luxury vehicles offered with either electric or hybrid engines. 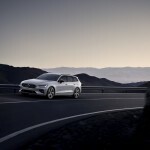 The move came a year after the brand hinted at giving the diesel the ax and shifting its focus to electrified vehicles. In a statement, Porsche said there was a shift in “consumer demand,” though 12 percent of its global sales last year were vehicles with diesel engines. This might look like a huge chunk of the market that Porsche is willing to sacrifice, but the brand is confident that its electric and hybrid offerings will more than make up for the perceived loss. 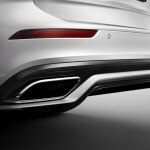 A whopping 63 percent of Porsche Panamera sold in Europe are hybrids, which clearly signals the growth in this segment. 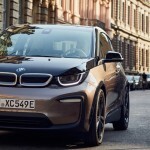 This is the latest blow to the diesel engine in Germany since the so-called Dieselgate that rocked the Volkswagen Group in 2015. The VW Group admitted to cheating on air pollution emission tests in their diesel vehicles using what they called “defeat devices.” Sales of diesel-engined cars have plummeted and consumers of diesel cars became worried that the resale value of the car will be pulled down. The statement from Porsche said the company is “not demonizing diesel.” CEO Oliver Blume said that diesel will remain to be an important propulsion technology, but Porsche, in particular, wants a future that is diesel-free. Diesel has one been championed to be the environment-friendlier alternative to petrol (unleaded gas) because it produces fewer carbon emissions. But problems have surfaced in the past decade as it was found out that diesel engines are worst than petrol when it comes to air pollution. The cheating done by Volkswagen was apparently to make diesel cars seem like they were emitting the same level of pollution as petrol engines. Next year, Porsche will release the Taycan, formerly known as the Mission E. We can also expect a Cross Turismo variant in the future. By 2025, every new Porsche sold should be electrified, the company aims. 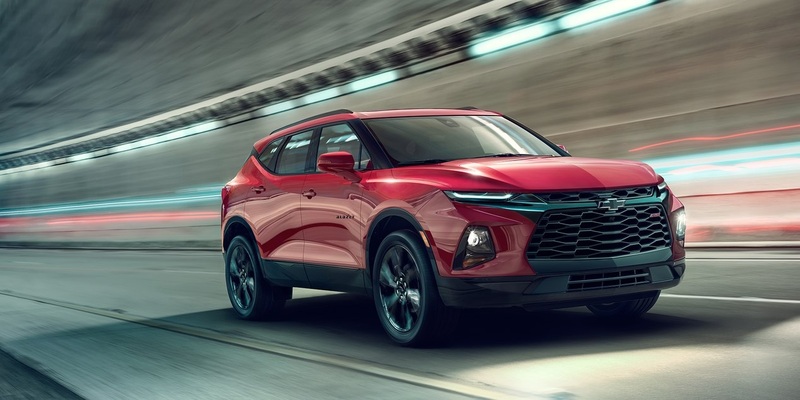 The bold new looks of the 2019 Chevrolet Blazer crossover can be yours for only $29,995. That’s the base price, which will come complete with a naturally-aspired four-cylinder engine that produces 193 horsepower and 188 pound-feet of torque. Not bad, considering that the price falls below the 2019 Ford Edge’s $30,990 and the 2018 Nissan Murano’s $31,795. 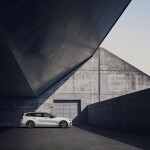 The Chevy Blazer L, the base model, will also get a nine-speed automatic transmission paired with the four-cylinder engine. 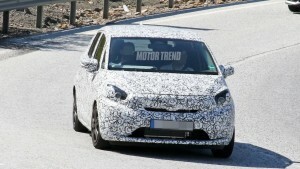 Front-wheel drive will be standard to the variant. Inside, it is equipped with an 8-inch touchscreen infotainment system, dual-zone automatic climate control, keyless entry and starting, heated mirrors, and 18-inch alloy wheels. 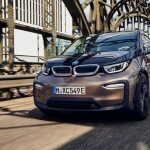 There are two other variants and trim levels available for this midsize crossover, but the company has not revealed their pricing details just yet. There’s the RS and the Premier, both of which have bigger wheels and styled rather more aggressive than the Chevy Blazer L.
The two trim levels are also packing the more powerful 3.6-liter V6 engine that makes a whopping 305 horsepower. 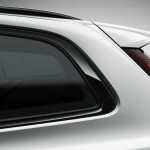 This is an option for the L trim, but Chevy has not made the option price available yet. 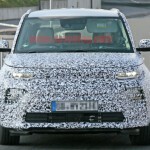 All-wheel drive is available on all trims, but the front-wheel setup will be standard. 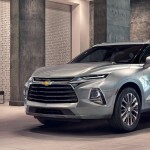 If you want more style and convenience, Chevy is also offering the Blazer crossover with a host of cool features such as a panoramic sunroof, heated rear seats, ventilated front seats and the rear-camera mirror first found on Cadillacs. You would think that Chevy will find a way to lower the price to around $25,000 when it announced the bold styling of the new Blazer. 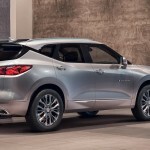 The price is fairly competitive when put alongside its more dominant competitors such as the Edge and the Murano. 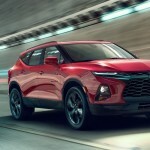 For its two-row capacity and plenty of cargo space, the 2019 Chevy Blazer should challenge the segment well enough.